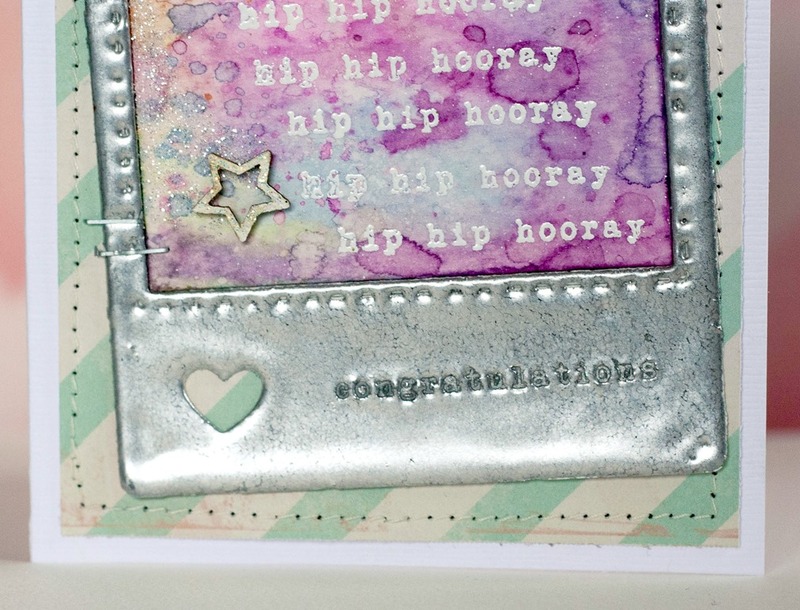 Little Outbursts of Creativity: Hooray! I made this birthday themed card a while back. I die cut a polaroid frame and embossed it in silver, while the embossing powder was still melted I stamped a greeting in it. The inside of the frame I cut out in watercolor paper and colored it with embossing pads. 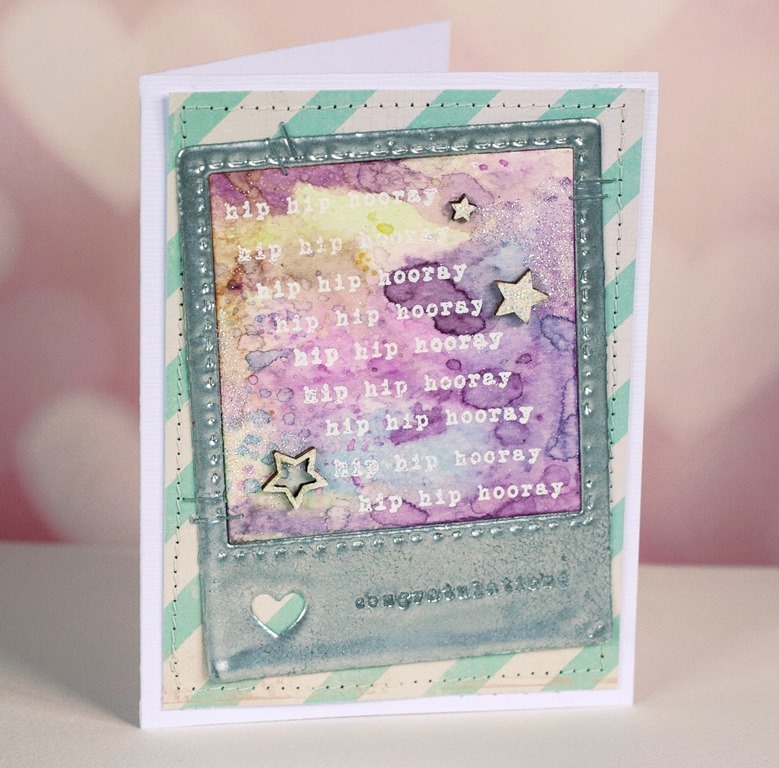 I stamped a greeting and added glitter. It’s really cute! I also added some staples to keep the embossed frame in place, it wanted to pop up in places. I think it looks kind of cool.